Heavy fighting has erupted between Ethiopian troops, allied with Govt forces and Al shabaab in a location outside Beledweyne city, the capital of Hiiraan region. 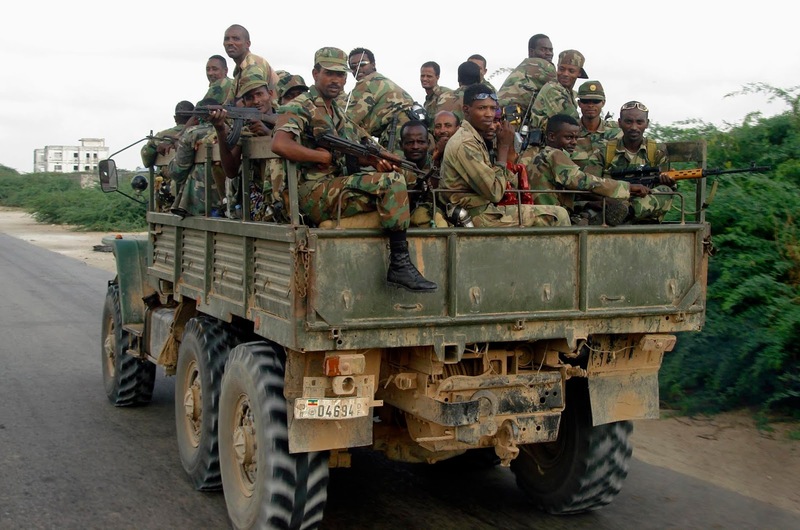 The militants of Al shabaab ambushed a convoy carrying Ethiopian troops of AMISOM contingent in an area close to Halgan of Hiiraan region, local residents told Radio Shabelle. Reports say the fighting began on Tuesday afternoon and continued until early hours on Wednesday morning. There were no immediate reports of casualties on both sides and the civilians. In the meantime, Mohamed Omar Aden Gududow, a senior Somali military commander has confirmed the combat during an interview with Radio Shabelle by phone. "The battle broke out when Al shabaab ambushed the allied troops; convoy on Tuesday afternoon while driving near Halgan and it is going on in Garisyani, Burdaaq Nur Fahah areas, all located west of Beledweyne city," said Guduow. Al shabaab did not comment on the attack.